Likud MK praises US strike on Syria, says Israel needs to strengthen presence in Golan. Transportation and Intelligence Minister Yisrael Katz (Likud) spoke on Sunday morning about US President Donald Trump's recent actions in Syria. 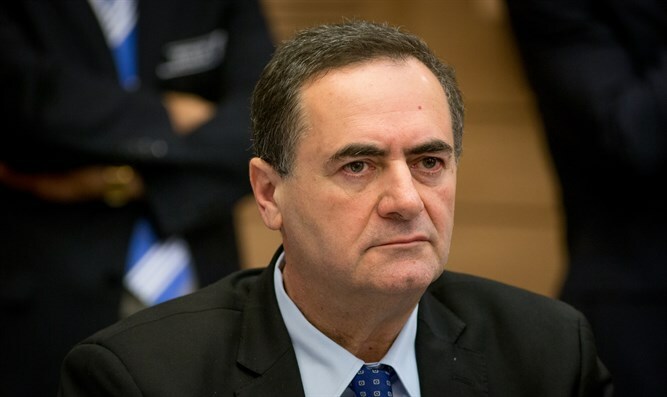 In an interview with Kol Israel Radio, Katz praised Friday's air strike as "moral and logical" and said it serves as a warning to Hezbollah and Iranian leadership. According to Katz, the strike shows a change in American policy, since under former US President Barack Obama left Israel to deal with evil on its own. The recent US air strikes show this policy has changed. Katz also said the new policy would prevent Iran's military intelligence and expansion, both of which have cost Israel economically by forcing the country to invest resources into dealing with them. Israel must show its determination to keep control of the Golan Heights by sending another 100,000 citizens to settle it more efficiently, he concluded.